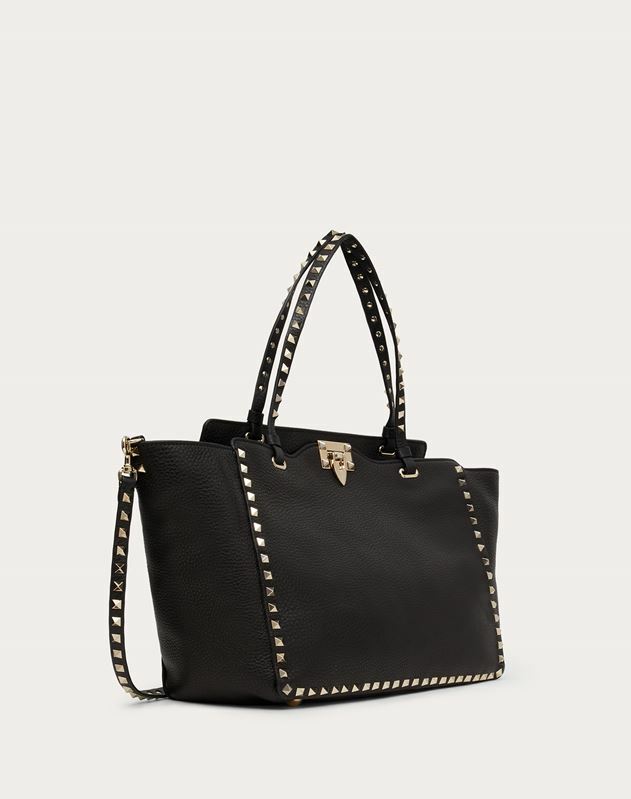 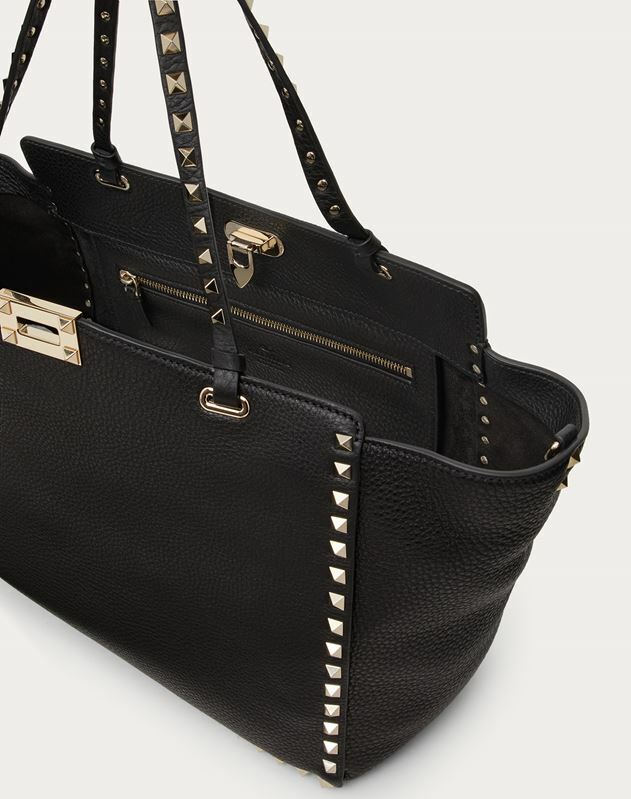 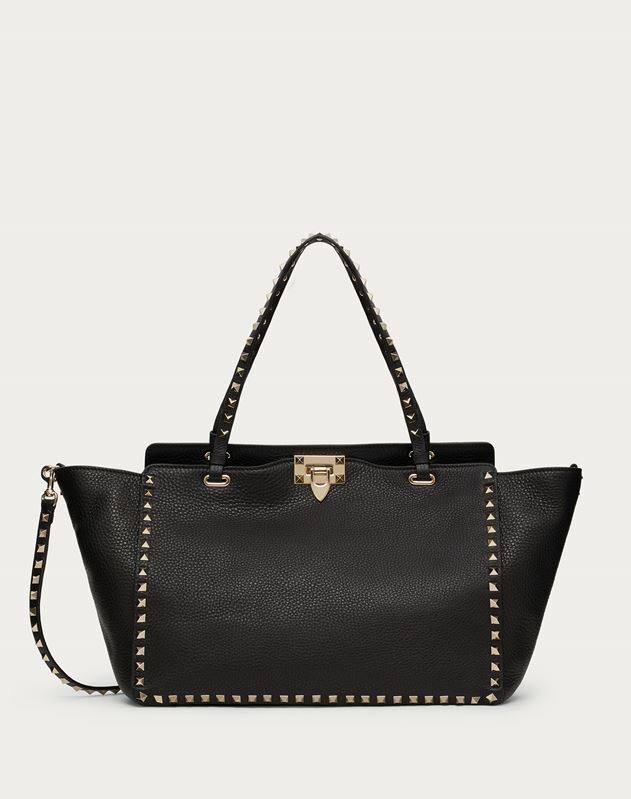 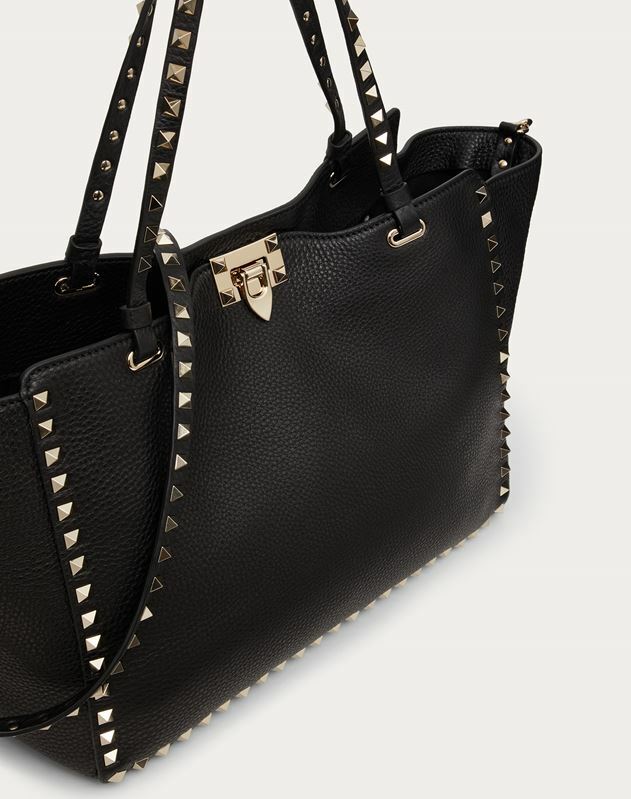 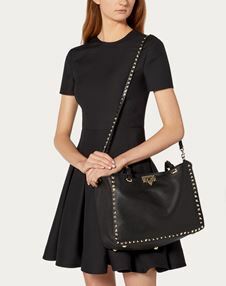 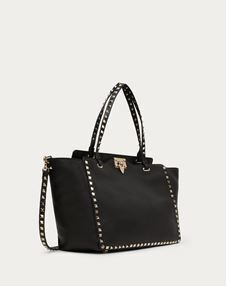 Valentino Garavani Rockstud medium tote in Stampa Alce textured calfskin. - Interior: flat zip pocket and flat double open pocket. 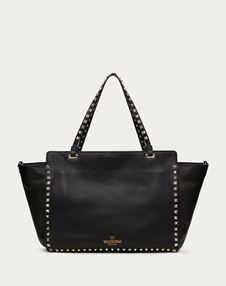 - Dimensions: W33xH26xD14 cm/W13xH10.2xD5.5" Strap: 100 cm/39"